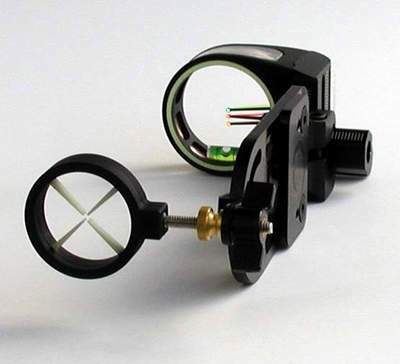 Products - HIND SIGHT INC.
Hind Sight uses the very best materials to craft their sighting systems. 50-52 and 60-61 aluminum make up the components that are either stamped or machined right here in the United States. The aluminum parts are anodized in a non-glare shadow black finish. Add on models and complete sighting systems available. All models are right and left hand reversible. 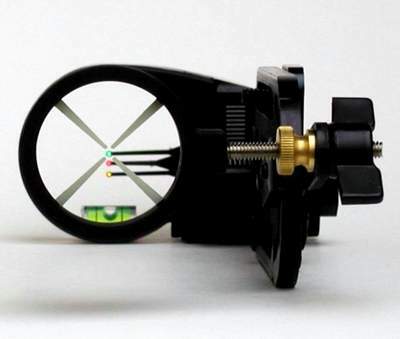 All front sights and fiber optic sight pins are supplied by TruGlo, the leader in Fiber Optic Technology. 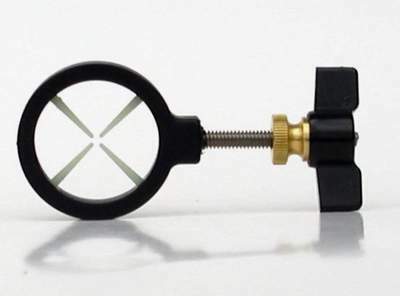 Attached to a stainless steel screw, the rear sight ring is molded of super tough nylon to protect the all important glow in the dark cross hairs, horizontal pointers, lens and fiber optic cable. 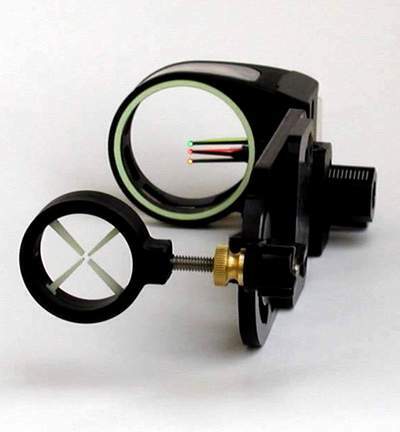 The cross hairs and pointers contain Proglow 20, the most advanced photoluminescence material on the market, which allows them to glow for up to 14 hours in total darkness. The cross hairs and pointers are strong but flexible and will stand up to the rigors of any adverse hunting condition you may encounter. Tough, Dependable, Accurate. 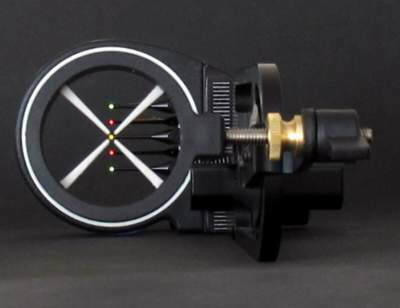 Trademarks of Hind Sight, Inc.
Our basic add-on models are stamped out of 50 52 aluminum and anodized in a shadow black finish. the cross hairs also allow them to absorb more light when charging for greater visibility in low light. The Magnum matches up best with round pin guards with an inside diameter of 1-3/4" or larger. round or half round pin guards. In line vertical pins work just as well as horizontal pins. to hi-light the illuminating dots for low light conditions. 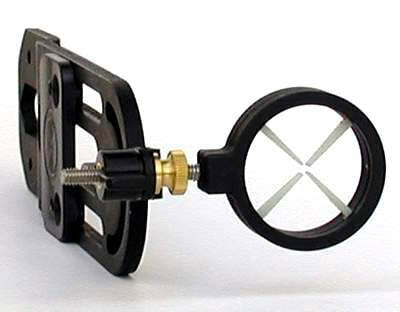 secures the main frame to your riser is drilled & tapped for attaching your favorite arrow quiver. Weight 4.0 oz. The Magnum Xtreme comes equipped with our Magnum rear sight ring for a wider field of view. Weight 4.0 oz. 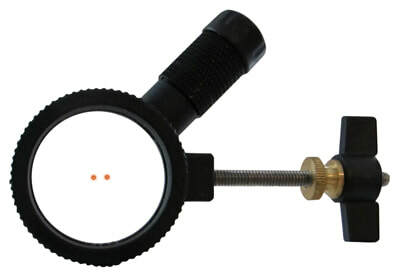 for a torque free, concentrated view of your target. alignment and will also frame your target in low light. front pin assembly is equipped with 5 extra long TruGlo fiber optic sight pins in a medium .029"
with less glare for better target acquisition. Calibrated for easy field adjustments. 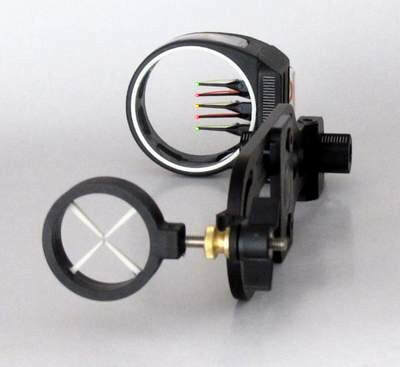 rear cross hairs for unsurpassed accuracy. orange, or yellow and is paired with TroGlo's Tru-Site Xtreme, large diameter pin head assembly. Violet LED lighting for less pin glare. riser. Glow in the dark reference tape makes it easy to see your marks in low light. disturbing your front sight. This ultra light model weighs only 1.2 oz. models, and fully adjustable for draw lengths from 22 to 33 inches. Weight 14 oz. Extra long, protected, and wrapped, fiber optic sight pins in a medium easy to see .029" diameter. 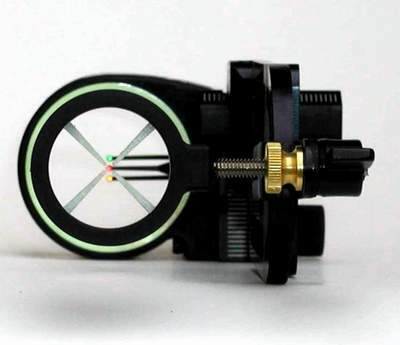 glow in the dark shooters ring aligns very well with our Magnum and Twilight series rear apertures. Attached bubble level. Off center reversible mounting bracket for greater vertical adjustment. LED reduces unwanted pin glare. Available in 5 pin model only. target acquisition, even on moving targets. created by the open center cross hairs on the Magnum and Original create a very tiny .060"
being protected inside the limbs of the bow. conditions without the need for batteries. in green, hunters orange, and yellow. an ultra violet rheostat controlled LED. Light up your sight pins with the optional LED Sight Light.. Batteries included. Standard model with simple twist and turn on/off. Deluxe model with rheostat control. 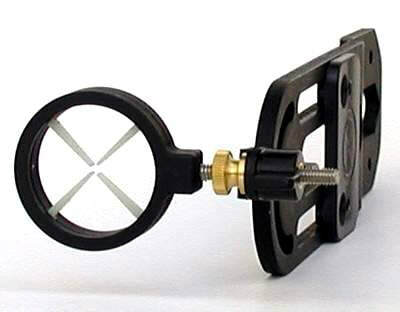 Hind Sight has added a large, easy to use, wing nut as a standard feature to all HS rear apertures. 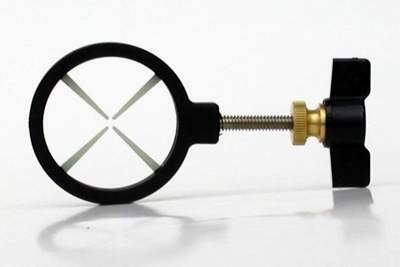 The wing nut is molded to an 8-32 threaded brass insert for a positive lock down of the rear sight.